Attorney General TJ Donovan today joined a coalition of 19 attorneys general in filing an amicus brief opposing the Trump Administration’s decision to roll back a requirement under the Affordable Care Act (ACA) for employers to include birth control coverage in their health insurance plans. The Amicus Brief, filed today with the United States District Court for the Eastern District of Pennsylvania, supports the Commonwealth of Pennsylvania’s lawsuit seeking to stop the federal government from enforcing a new regulatory rule. This rule would authorize any employer with a religious or moral objection to contraception to block their employees, and their employees’ dependents, from receiving health insurance coverage for contraceptive care and services. Since the ACA was enacted in 2010, most employers who provide health insurance coverage to their employees have been required to include coverage for contraception, at no cost to the employee. Because of the ACA, more than 55 million women in the United States have access to birth control with no out-of-pocket costs. A Vermont law passed in 2016 also requires health insurance plans to provide free contraceptive coverage. However, under a federal law known as ERISA, some large employers whose health insurance plans cover employees in multiple states are not required to follow state law coverage requirements. Under the Trump Administration’s new rule, people covered under these ERISA plans would be at risk of losing free contraceptive coverage. In the brief, the attorneys general argue that the new rule is unconstitutional by allowing the Federal Government to endorse certain religious beliefs over a woman’s right to make choices about her own health care. The attorneys general also argue that the rule discriminates against women and denies equal protection under the law by allowing employers to assert religious beliefs as a justification for denying critical benefits, while leaving coverage for men unchanged. Additionally, they argue that the Trump Administration is taking away the right to contraceptive coverage – a right that millions of women rely on – in violation of the ACA itself, and without any opportunity for public comment and without a careful review of the issue as required by federal law. 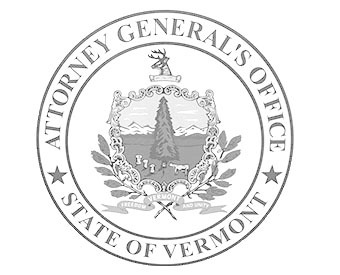 Led by Massachusetts Attorney General Maura Healey, other states joining Vermont in today’s amicus brief include California, Connecticut, Delaware, Hawaii, Illinois, Iowa, Maine Maryland, Minnesota, New Mexico, New York, North Carolina, Oregon, Rhode Island, Virginia, Washington, and the District of Columbia.